Every year, the five congregations that comprise Christ Church Inner West meet together to set the course for the next twelve months. Join us at Vision Sunday 2017, as we ask, "What do you want to be when you grow up?" 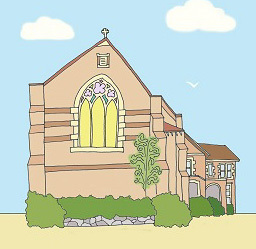 Vision Sunday will be held at St Alban's Five Dock at 10am on Sunday February 5. There will be no 6pm service that day. We'll have a church-wide picnic at a local park after the service, so please bring along your own lunch.